When I was a child I used to have weekly swimming lessons, I passed each level, and it's something I'm really proud of achieving. Now, at the age of 25, I rarely visit the swimming pool. Why? Body confidence. It's such a shame because inside me really wants to go, but the thought of everyone being able to see my legs and basically, my body shape, literally scares me so much. I am one of those people who overthinks and just can't pass the nerves. I've purposely 'forgotten' my costume when I went to visit Bluestone the first two times, and to other holidays we have been too the past few years. However, during our last Bluestone stay, I bought one with me, and I decided to force myself to go swimming. My main reason that forced me was that the kids wanted me to go in. I felt guilty to say no. However, something got to my mind to think that I do want to make more memories with the girls. I don't want my kids to grow up and say that I didn't do certain things with them. All because of my body confidence issues. It's not fair to them. The minute I got changed into my swimming costume, my stomach was hurting as I was super nervous. I told one of the girls to walk in front of me and the other behind me. I felt a little more confident until we reached the actual swimming pool and my nerves flew up again. However, the moment I got into that water, I started to relax a bit more. I was looking around, seeing all the families having fun and enjoying themselves. Which got me to relax even more and I honestly, absolutely loved it. I enjoyed myself so much. The girls are good swimmers. Elliw learnt to swim in Thailand when we were on holiday there back in 2015 and Mia has always been pretty good swimming ever since she was little. Mia has weekly swimming lessons with her Dad, and I'm on the hunt on putting Elliw on the list for swimming lessons too. I am so happy that they are super confident in the water like I was when I was their age. 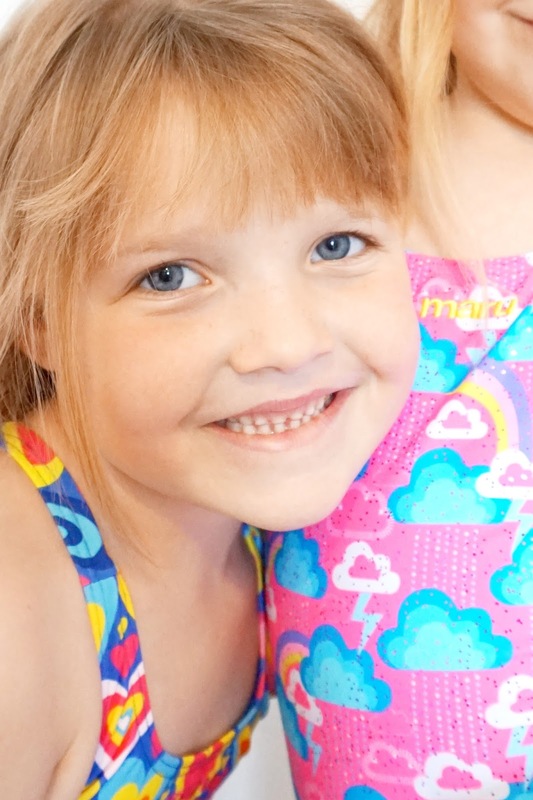 Elliw has been going swimming once a week with school, and each time, she says she really enjoyed herself. We were given two swimming costumes, one each for the girls from Maru Swim. 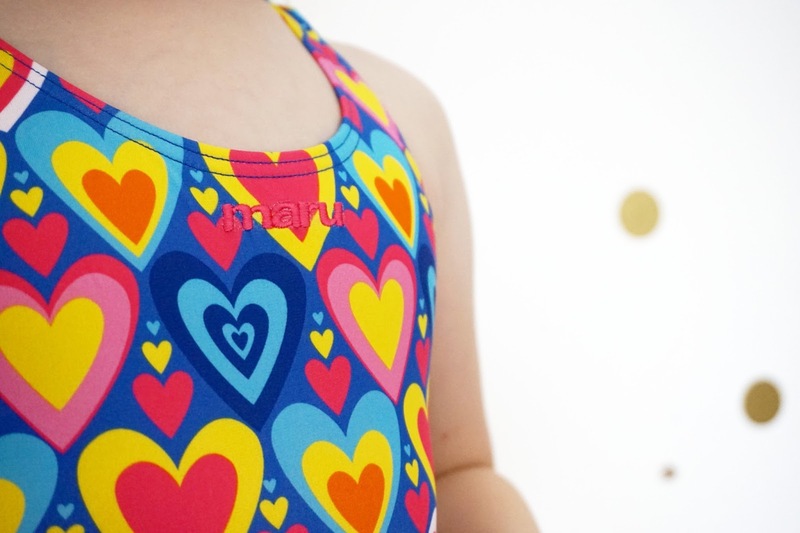 They have such a lovely range of swimwear for kids and adults. Their prints are colourful and bold, something I really do love. The styles of their swimwear are different, something the girls love. Their swimwear is fantastic quality at great prices too. They also do many different designs and patterned swimwear. 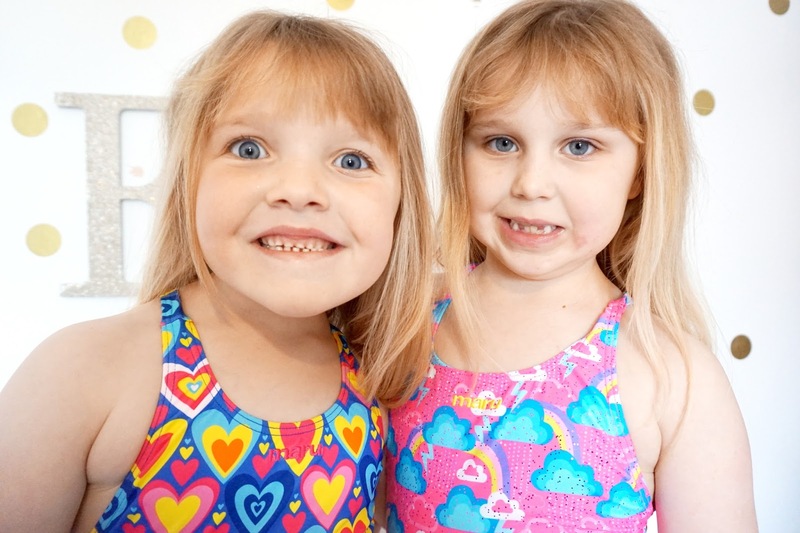 * We were gifted two swimwear to review. However, all words, opinions and images are our own.